This particular article is written with an eye towards shelter pets simply because there are more of them — but it is designed to accommodate any and all pets or livestock — including horses. The rescue community looks expansive to the ‘undiscerning’ eye. Since the launch of the HOOFPRINTS.ORG site, we have begun to hear from people on a constant basis, many thinking that we’re a different type of a rescue operation. Many want to know more about facilitating rescue and are puzzled as to how the country still seems to be overrun with animals when there are so many rescues available that are willing to help. Unfortunately, when people NEED help, they discover the problem all of us have encountered: phones are not answered, facilities are full, donors are tapped out. Why is this? Perhaps, more importantly, what can be done to change it? HOOFPRINTS.ORG is comprised of people who are willing to tackle the real issues behind that ‘bigger picture’. The one that shows that people, no matter how willing to help, are often simply not aware of how difficult it is to change the societal components that have brought about these very issues. The issue is the same whether the orphaned animals are horses, dogs, cats or any other species: and the solution is the same, too. The breeding of animals for profit in the U.S. has been going on since time immemorial. It’s not that this is necessarily bad on its face — at least not when one is simply looking at it from an outside position. Those that have not obtained a pet from a breeder only to have it die in a few months or years sometimes cannot grasp how and why these issues occur. 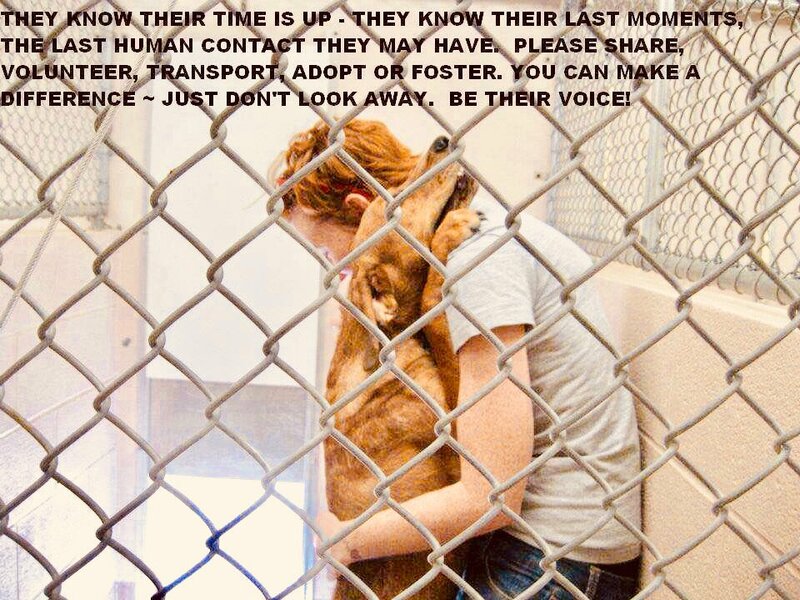 There are, as well, people that have never seen young and healthy animals lose their lives in shelters because overcrowding causes overwork and even carelessness on the part of people working there. This issue can escalate mistakes, mistaken identities and even decision making at these well-intentioned facilities. They may not understand that there are simply not enough facilities or the staff to maintain them to master and maintain the issue of pet overpopulation. Add to that the issue of the work itself. Animal husbandry, done correctly, is work. Walking, exercising, feeding, caring for and medically managing pets requires dedication. The public is inundated with the ‘bad news’ of the failures. Staving, abandoned and even ‘dumped’ animals are visible no matter where in America one lives. Almost daily there are reports of animals, running at large, that damage the lives or property of others — and it is only gaining momentum. Pit Bull breeding is still escalating even though current statistics show that only one in 600 will find a home once placed in a shelter if only because people are AFRAID TO ADOPT THEM. Some are concerned about their own safety, others the insurance factor. Placing an orphaned and essentially unknown Pit Bull in a home with children would certainly be considered to be not worth the risk — especially if anything went wrong and it did injure or kill anyone or anything. We aren’t suggesting that anyone refrain from having animals and we do not have anything against Pit Bulls or any other breed — we just want to see people care for their pets responsibly. Note: Proper counts are essentially impossible to calculate and compile because unless all orphaned animals were committed to legally operated facilities, a true count can never be made. Thus the statistics cited below are essentially low estimates and reflect what the ASPCA knows: SHELTER statistics. The ASPCA reports that 6.5 million companion animals enter America’s shelters annually. Of those, 3.3 million are dogs and another 3.2 million are cats. Consider now that these same statisticians report that millions more never make it into shelters but are abandoned or killed by uncaring ‘owners’. When one considers that adoptions account for 1.6 million dogs and another 1.6 million cats and you can begin to see the utter hopelessness of these figures and recognize that even though many animals are, in fact, placed, the success stories cannot begin to realistically compare to the dismal statistics reflecting the vast numbers of animals lives lost because humans aren’t doing enough to control their populations. We propose — and intend to hire those that will make this dream a reality — to facilitate a new method of looking at companion animals that will forever change these statistics. First, let us take into consideration that pet aficionados should be able to own pets without overly burdensome governmental oversight. Thus, obtaining animals should remain a relatively easy procedure facilitated by shelters, rescues and even pet stores — which should all be providing orphaned animals to the public and not pets coming from breeders. Identified by tattoo/microchip or not, this simple record will serve many purposes. It can provide an excellent pictorial record suitable even for law enforcement to utilize in the event that the pet is lost or stolen and the identifying information will be kept in governmental databases so that it can be accessed as needed. Database information is also easy to transfer so a current resident can change residences in the same way as with any ID card or Driver’s License and simply get the update recorded via any outlet that has access to the database. Done properly, with proper public relations, people will want to participate in this program. An ID card will be issued for every animal as the applications are received that appears similar to a driver’s license or state ID card. The accompanying tag could, for a small additional fee, even contain a tracking device. For shelter generated Neutered and Spayed pets, participation in this program will come with the Adoption Packages automatically issued to adopters as they are adopting their orphan animals and a tag will be provided. Replacement of these tags will be a simple and inexpensive process as they require only a simple number. This number can also be utilized for pet parents to place on custom tags as well — but it is important that this tag and number be utilized and that this legislation not be onerous for lawmakers. The simpler it is to understand, the more compliance the program will receive. There are many ways for commercial entities to offer discount packages and other incentives to benefit those participating. Neuter/Spay services should be available for a minor fee and — this part is KEY — they should be done on credit for disadvantaged individuals. The reason for this is that we are encouraging RESPONSIBLE pet parenting and when people are turned away for discounted or *free* spay and neuter services it only damages the pets in the end. Properly marketed, it will be VERY EASY to obtain grants from corporations in their home areas to facilitate this portion of this program. As people pay for their neuter/spay, the information is relayed to credit reporting agencies thus building the credit of those participating. It’s a win for everyone. Further, it is important that participation be mandatory. For decades, America’s animals have paid the ultimate price for the shoddy and ineffective management of issues directly caused by overbreeding. Shelters are overburdened and report that they are forced to kill viable, healthy and fully adoptable animals. That, in itself, should be enough to force reconsideration of the current programs. But add to that that the U.S. is overflowing with backyard breeders — that reports of damage done and lives lost due to the carelessness or intentional neglect of the worst offenders and the problem can easily be seen as completely untenable. Animal owners are reporting situations in which they were forced to stand helplessly by while their own pets were wounded or killed by animals running at large — sometimes in their own fenced yards! If the outcry concerning new legislation were to risk failure — a doubtful scenario — it could be presented/accepted as a temporarymeasure to curb shelter overpopulation, Once the shelter overpopulation issues are permanently corrected, municipalities could be offered the opportunity to vote to withdraw the legislation but, done correctly, there should be no reason for anyone to want to see it rescinded. In fact, done correctly, it could be a financial boon for those municipalities in which it is utilized. Further, it would cut the costs associated with current programs because costs would be far less than what we currently pay to maintain overcrowded facilities both in lives and money. For those joining with existing pets, the fees should be low: no more than $10.00 annually. Responsible pet owners can actually enjoy this interesting and effective tool for pet management. The card can contain health information or even contain a microchip with their pet’s current health record which vets can access if they’re away from home and, subsequently, away from their own vet. They can get a replacement card for a fee, buy ‘Puppy Passports’ for new pets that are more ‘designer’ than standard issue. They will have a given period of time in which to neuter or spay a very young pet — all delineated on the card and electronically updatable if the card is chipped. The program administration should essentially be seen as fun, interesting and encouraging of competent pet ownership. Children can be taught effective pet parenting in a unique and entertaining way, providing opportunities for them to get involved in their local shelters for ‘credit’ for their involvement in various programs — guaranteeing their participation later on and encouraging them to learn to take care of whatever pets or livestock their family may possess. Ideally, most of the tasks related to this program could be facilitated by the local shelter facilities which would encourage people to come in and walk through, looking at the latest additions to the shelter orphans. Volunteers should be able to take their time and have a photographic studio complete with clothes and accessories that can make these pets seen as more than just another frightened and lonely animal in need of a home — we all know the more traffic these facilities see, the better the chance there is for a wonderful ‘furever’ home for these adoptable orphans. This program will do away with most of those that want pets without the added responsibility of having unneutered or unspayed pets. Now for the more difficult aspect of this program. If an individual, for whatever reason, does NOT want their pet to be neutered or spayed, they must obtain a ‘special dispensation’ guaranteeing that they will maintain complete control over the reproductive issues concerning their animal. A ‘How-To’ Manual will be provided, paid for by the higher registration fee for these animals and made available to those individuals that choose not to neuter or spay that clearly delineates their obligations under this program and the law pertinent to it. First, a site visit by a shelter volunteer can be made to photograph the scene and assist them in making sure they’re in compliance. They should have proper structures in which these animals are to be kept and, whenever the pets are outdoors, they must be confined to that specific area. Kennels and dog runs are viable. Yards, for instance, are fine provided the animal does not work to escape them with any level of proficiency or success as, under this legislation, animals running at large are strictly prohibited and will result in a fine. Again, we’re talking about UNNEUTERED/UNSPAYED animals in this instance. This represents the vast portion of the CAUSE of pet overpopulation. Note: ANY animal chained will not meet the criteria for participation in this program and special consideration should be provided any animal discovered to be living at the end of a chain. This must be absolutely discouraged in the strongest of terms and alternatives to this method of ‘containment’ immediately sought. In other words: NO CHAINS. Animals forced to live their lives chained outside are at far greater risk for becoming aggressive, violent and dangerous. It is completely understandable that it can drive canines mad. Should a pet escape their enclosure and be recovered by law enforcement, a fine commensurate with the community demographic should be demanded along, if possible, with an appearance in a court of law or, if this is deemed to be too burdensome for the municipality, an appearance at the shelter to discuss the issue with law enforcement or a shelter director. At every opportunity, animal owners should be reminded that their decision not to neuter or spay their pets requires such measures because unneutered/unspayed animals require a much higher level of diligence in their care, a higher level of accountability and greater potential for a financial ‘setback’. If, for instance, their pet impregnates a neighbor’s pet and the lack of due diligence can be determined to be the fault of one party or another, that individual should have to bear whatever financial responsibility may result. Finally, the resulting puppies cannot be simply kept but must be provided to the shelter for adoption unless the owner/s can work out a solution by which the puppies are purchased by one or both involved parties. If it is determined that the pregnant female and the intact male are both members of the same household then one or both should be ‘fixed’, any other risk potential with other animals at the site evaluated accordingly and a fine should result. Should the problem recur, mandatory neuter/spay law should apply or forfeiture of the pet should be required. This legislation will effectively END backyard breeding. With the legislation requiring that breeders can be fined, that they cannot advertise to sell their puppies online or off, and the encouragement via billboards and television Public Service Announcements asking that people report unneutered or pregnant animals running at large or any advertising of puppies for sale, if a breeder doesn’t have proper certification, they’re effectively put out of business. REMEMBER: The goal is to EDUCATE for responsibility rather than allow, by default, public opinion to continue to maintain that pet ownership is a right: it is both a PRIVILEGE and a RESPONSIBILITY and needs to be handled accordingly. The ‘easy answer’ is to simply allow companion animals to be neutered and spayed if at all possible. We want to return to the issue at hand and convince at every opportunity and encourage — in every conceivable way — those that are least responsible to neuter and spay their pets so that pet overpopulation can finally be controlled and ultimately stopped. The facilities each municipality or county would need to facilitate this program are already in place: Tags should be made available via animal shelters and police departments. But even tack shops, veterinary facilities, pet stores and other pet oriented shops and stores could join — the pet ID cards can be mailed as the pictures and details are entered into the database and tags can be picked up on the spot. Now let’s move on to the pros. We have essentially a nation of animal lovers and millions of them are capable, intelligent individuals which bring a great deal of professionalism and dedication to the table.